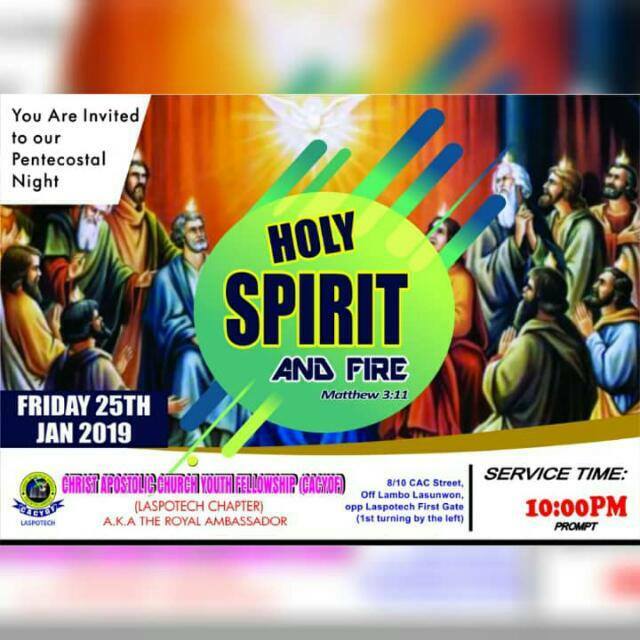 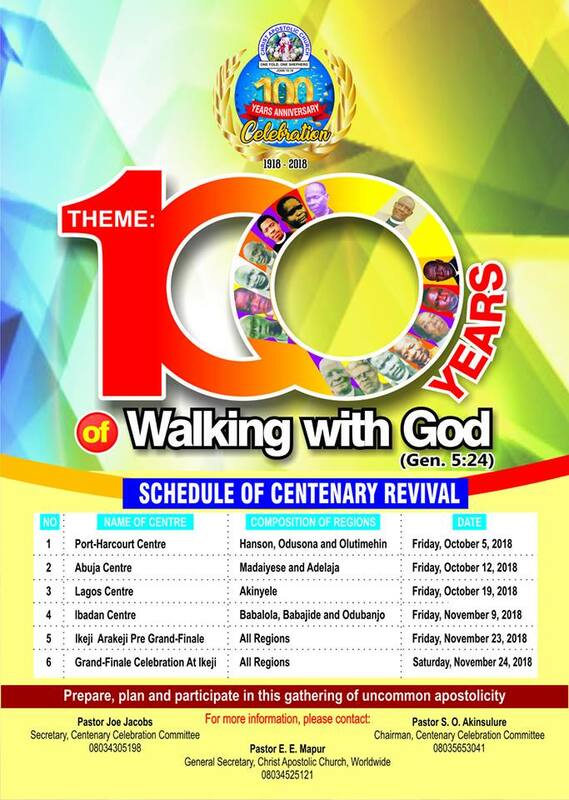 Christ Apostolic Church Youth Fellowship (CACYOF), Lagos State Polytechnic chapter will on Friday January 25, 2019 hold a programme tagged "Pentecostal Night." 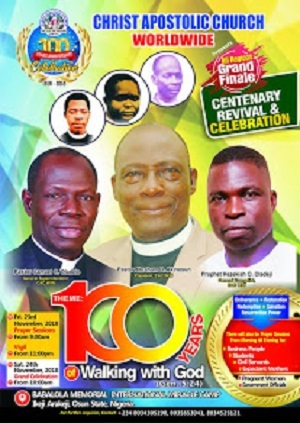 The theme of the vigil which starts by 10pm is "Holy Spirit and Power." 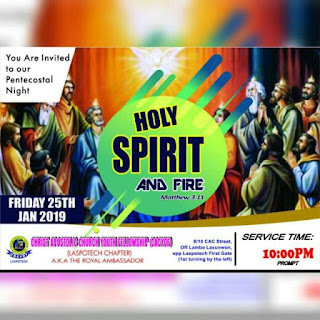 CACYOF LASPOTECH worship centre is situated at 8/10, CAC street, off Lambo Lasunwon street, LASPOTECH first gate, Ikorodu Lagos.